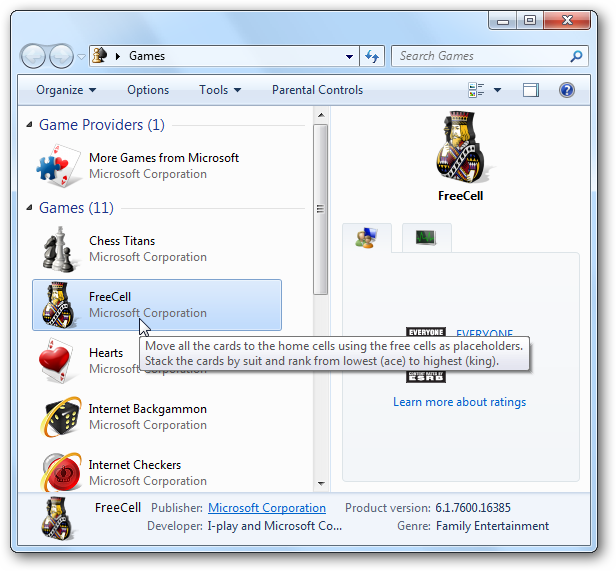 If you’re happy with the features in Windows 7, but find no use for the games included by default, they can be turned off. In this quick tip we show you how it’s done. 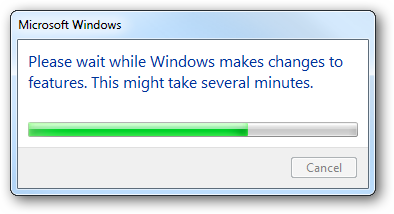 The games in any version of Windows are mediocre at best, and you might want to turn them off so you’re not bothered by them. Or, maybe someone in the family or office likes them too much and is wasting time playing them. 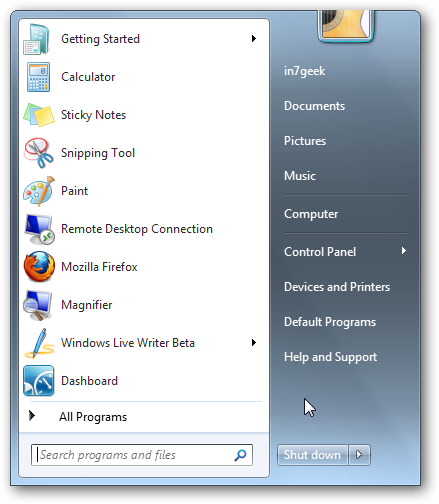 First type windows features into the Search box in the Start Menu and hit Enter. Alternately you can expand the Games folder and pick and choose which games to turn off. For instance you might just want to turn off Internet Games…when you’re done click OK.
Now give it a few moments while the Games are turned off. 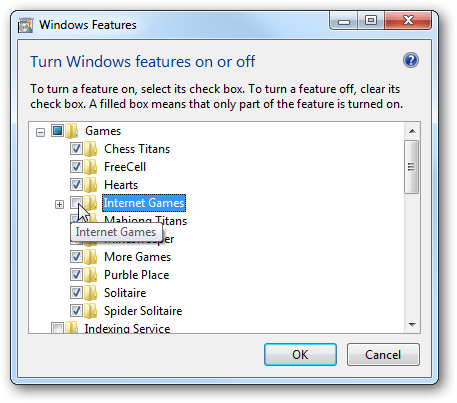 Now when you launch Games from the Start Menu there will be none listed. 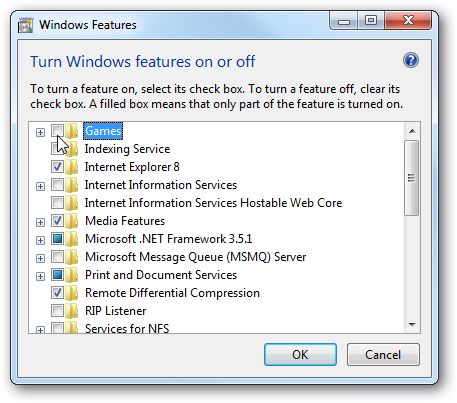 Now that the default games are turned off, you might want to remove it from the Start Menu. Right-click on Start and select Properties. 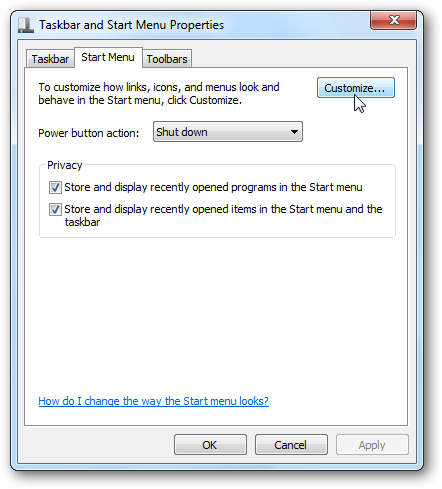 The Taskbar and Start Menu Properties window opens up…click on Customize. 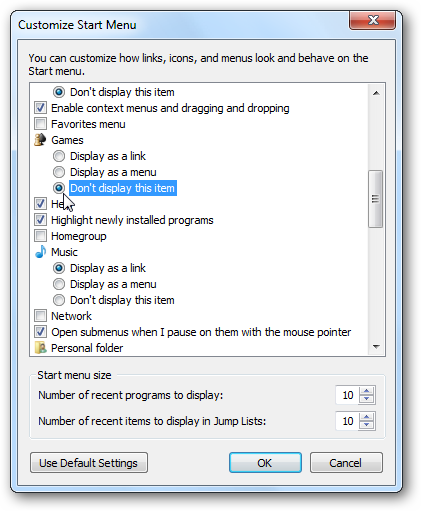 Scroll down to Games and select Don’t display this item and click OK.
Now when you open the Start Menu, Games is no longer listed. 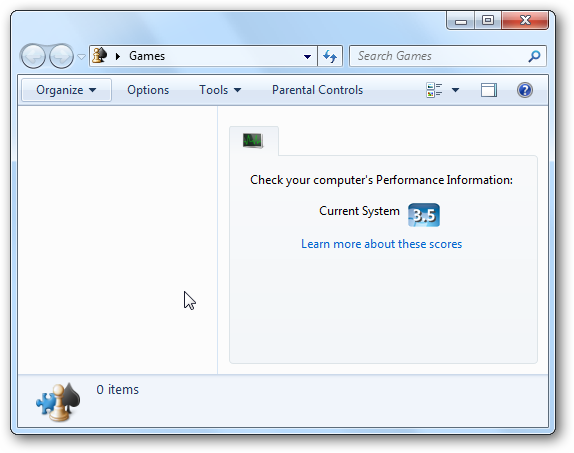 If you see no need for games on your Windows 7 machine, or you want to prevent a user from playing, turning them off and removing it from the Start Menu is a good start.